Clutchy Hopkins is the son of a Motown recording engineer. As a young man, Clutchy traveled the globe exploring exotic music, rhythms, and mysticism. 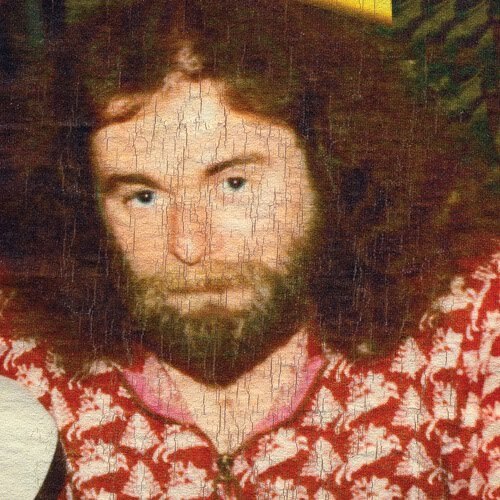 He worked at recording studios in Bombay to Cairo and studied musical techniques of the Cahuilla Indians, Rinzai Zen monks in Japan, and tribal drummers in Ethiopia. Returning to the U.S. in the ’90s, Clutchy worked as a session musician on obscure funk and jazz records; he was rumored to have collaborated with Moondog. Clutchy recorded most of the music he created throughout his journeys, but never attempted to release it. He refused to be credited for his session gigs and only accepted cash payments for his work. There are practically no records of his existence. Sometime during the late 20th century, Clutchy Hopkins disappeared without a trace. His last known whereabouts were in Hawthorne, California. In 2005, a crate of reel-to-reel tapes was discovered amid boxes of old, home-made musical instruments and electronics at a flea market outside Los Angeles. The trail from these tapes led to a woman named Kelly Hopkins: Clutchy’s daughter, the only person still in contact with him. Kelly obtained his permission to release some music and even persuaded him to collaborate with young new artists. Clutchy’s exact whereabouts remain a mystery. According to Kelly, he currently resides in a cave somewhere in the Mojave Desert. Since the release of his first album, The Life of Clutchy Hopkins, questions have arisen about his true identity. Blogs, magazines, and fans have speculated that he is actually the “secret identity” of a well-known DJ or producer. Suspects include DJ Shadow, Cut Chemist, Money Mark, Madlib, Danger Mouse, and multi-instrumentalist Shawn Lee (who has released several collaborations with Clutchy). The truth is still unknown…meanwhile, the mysterious Mr. Hopkins continues to release albums of new music, to the delight of fans around the globe. “I was back in the desert recording some drums and keys with the old coot, and after taking a break I saw this on the table. I asked if it was a painting* he was working on and he tells me it’s a one of a kind, handmade cover he’s doing for the first handful of The Life of Clutchy Hopkins re-issue. I already copped another one and it’s going on ebay once these are gone. Grip & flip. if none of this is making sense to you….…then you are on the right track.